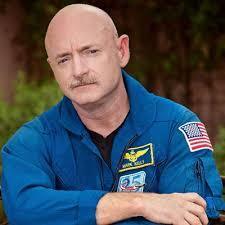 "I learned a lot from being an astronaut. I learned a lot from being a pilot in the Navy. I learned a lot about solving problems from being an engineer," Kelly says in the campaign announcementvideo. "But what I learned from my wife is how you use policy to improve people's lives."